This story was originally published in FAQ’s newsletter on September 7, and published online on September 14. For all the talk about the shrinking — and death — of newspapers, one thriving feature of the dead-wood industry is endorsements. The New York Times andDaily News both endorsed Zephyr Teachout for attorney general — along with rising star Alexandria Ocasio-Cortez, helping cement Teachout’s status as ﻿the front-runner in a race against a citywide official, a congressman, and a former aide to Hillary Clinton, Joe Biden and Andrew Cuomo. And Cuomo himself seemed to secure his own re-election after the Times begrudgingly endorsed him in his primary. The decision in that race was billed, in part, as an acknowledgment that experience in government (paging Donald Trump) really is needed. Amazingly, this is not the first time the New York Times editorial page sought to pair a gubernatorial candidate with a running-mate not of his own choosing (in New York, it’s almost always a “he”). In fact, it’s not even the first of this type of governor and lieutenant governor pairing involving a Cuomo. The year was 1982, and the sitting Democratic governor, Hugh Carey, was not seeking re-election. 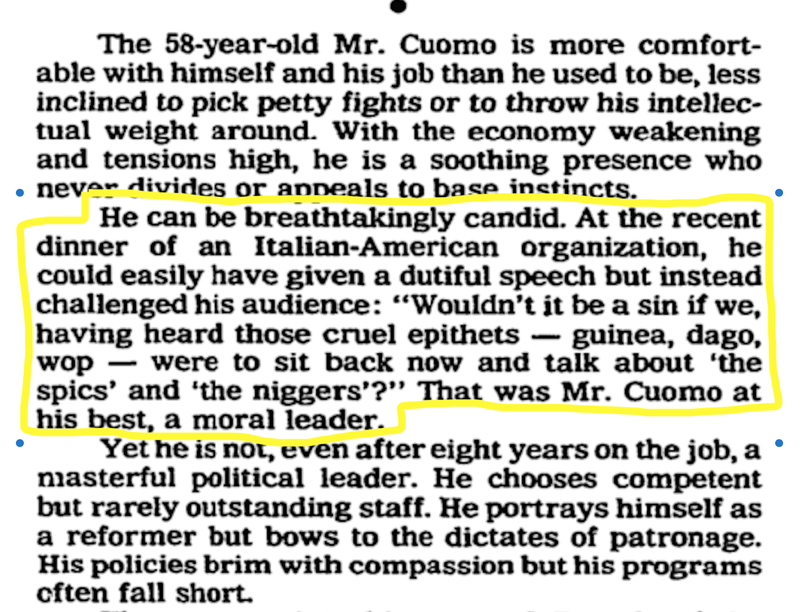 His lieutenant governor, Mario Cuomo, wanted the top job. But so did the mayor of New York City, Ed Koch, who had just been elected to the top job in the Big Apple back in 1977 after upsetting that same Mario Cuomo. No bother. Koch had proven he could govern the five boroughs better than his predecessor, and figured, why not take a bigger job. Cuomo, a heartbeat away from the state’s top job, was eager for it too, and wasn’t about to lose to Koch again. The New York Times published their endorsements ﻿on September 19, just ahead of the September 23 primary. 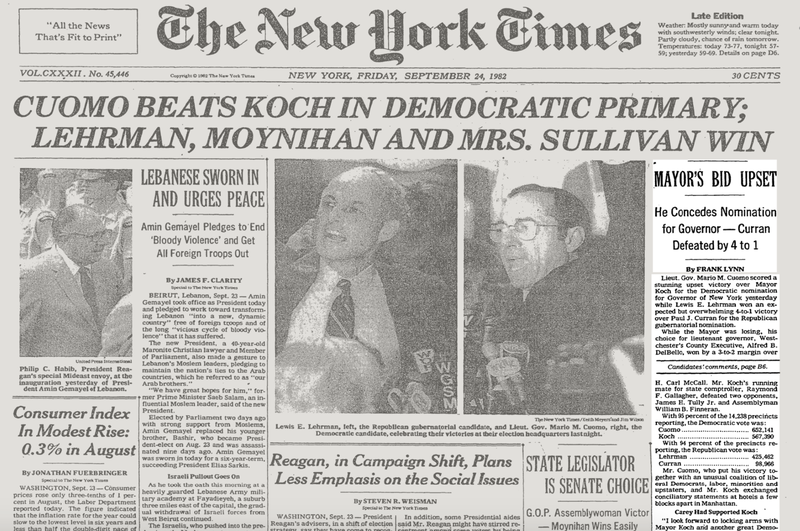 But in the Lieutenant Governor’s race, the Times saw an opportunity to correct one of Koch’s flaws. It’s hard to imagine a speech like that being received the same way today.